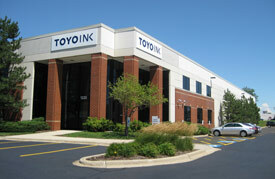 In addition, Toyo Ink America has developed a unique network of distributors, technical specialists and sales/support experts to cover nearly all regions in the U.S. Combined with our local manufacturing, research and digitized color-matching capabilities, our commitment to quality and customer service is as vibrant and reliable as the very color materials we craft. Toyo Ink America, LLC strives to safely and efficiently produce high quality products through a system of continual improvement, setting and reviewing of quality objectives, and a commitment to complying with relevant customer and regulatory requirements.